A look ahead at some of the most eye-catching data and trends at Europe’s leading cancer congress ESMO. 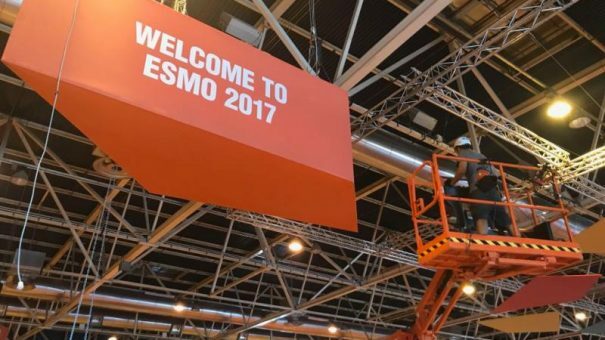 As the field of cancer research continues to gallop onwards at an astonishing pace, the ESMO congress has firmly established itself as the autumnal counterpart to America’s ASCO summer summit of all things oncology. This year’s ESMO congress is in Madrid, and opens its doors tomorrow, with 23,000 participants from around the world attending to hear data from 1,736 presentations. Here are some of the pivotal trials which are likely to generate the biggest buzz. Merck’s Keytruda has been unofficially crowned the winner of the PD-1/PD-L1 immunotherapy race, thanks, in large part, to its approval as a first line monotherapy for Non-Small Cell Lung Cancer (NSCLC) in the US and Europe, as well as in combination with first line chemotherapy. However, this is really only the beginning of real progress in NSCLC treatment, with the search now on for a drug or drug combinations which can extend the lives of patients with earlier stage disease. Already grabbing the attention is AstraZeneca’s (AZ) PACIFIC trial, which is to be presented at ESMO on Saturday. The study looks at Imfinzi (durvalumab) as consolidation therapy following chemoradiation for locally-advanced (stage III) NSCLC, and AZ has already revealed that the drug achieved a positive progression-free survival (PFS) in these patients. ESMO Congress press committee chair Solange Peteres, MD, PhD, from the oncology department, Centre Hospitalier Universitaire Vaudois, Lausanne, Switzerland, says this shift to earlier treatment will transform care. The PACIFIC study is set to be the silver lining for AZ, after it suffered a major setback in July when Imfinzi failed in its combination with tremelimumab in the MYSTIC trial. Bristol-Myers Squibb’s (BMS) Opdivo, as one of the frontrunners in the PD-1/PD-L1 space, will of course be a major presence at the congress. 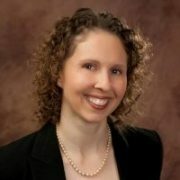 Stephanie Hawthorne, Senior Director, Oncology, Kantar Health says BMS’ CheckMate 238 in resected high-risk melanoma will be another study which could prove immunotherapy’s worth in non-metastatic disease. Also presenting in adjuvant disease treatment for melanoma will be two phase 3 trials of BRAF inhibitors in BRAF mutant resected Stage III patients: Roche’s Zelboraf monotherapy in its BRIM8 trial and COMBI-AD, which looks at the combination of Novartis’ Tafinlar and Mekinist. There will be other hotly contested therapy areas with breaking data. The first of these is ovarian cancer, where a triumvirate of rival PARP inhibitors are fighting it out for dominance – Tesaro’s Zejula, AZ’s Lynparza and Clovis’ Rubraca. Current estimates of which competitor will emerge as the leading PARP inhibitor ebb and flow with each new study release. At ESMO, it will be the turn of Clovis’ Rubraca, and results from its ARIEL3 trial of the drug as maintenance therapy in recurrent, platinum-sensitive disease will be keenly awaited. Meanwhile, progress is also expected in breast cancer, where a host of new drugs for hormone receptor positive (HR+) patients are reaching the market. Lilly’s abemaciclib is currently in phase 3 trials, and its MONARCH3 trial will be presented in Madrid. This is expected to set it up for an approval in combination with an aromatase inhibitor in first-line HR+ metastatic breast cancer. This will put it into competition with Pfizer’s Ibrance and Novartis’ newly approved Kisqali – but it will have to demonstrate robust efficacy to mount a challenge to its two rivals. Finally, Opdivo will once again be in the spotlight, this time in renal cell carcinoma, where its CheckMate 214 trial compares the combination of Yervoy + Opdivo versus Sutent. BMS has today pre-empted the presentation by announcing data that the trial has been stopped early, after it showed significant overall survival (OS) benefit compared to the current standard treatment. 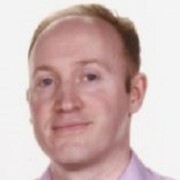 Hawthorne notes the contrast of this data with mixed early results – these showed the combination had significantly improved overall response rate (ORR) but failed to show a significant benefit for the PFS endpoint. The resounding success in OS announced today shows the unpredictable nature of immunotherapy trials, suggesting that there will be more surprises yet to come. The results in Madrid may also be somewhat overshadowed by other developments emerging today – the FDA putting a partial hold on Opdivo and Imfinzi in multiple myeloma combination trials. This is a precautionary measure and follows the same hold put on Keytruda in June because of excess deaths, where it was combined with Celgene’s standard myeloma treatments Revlimid and Imnovid. No major cancer congress would be complete these days without keynote debates about the affordability and cost effectiveness of new cancer treatments. Looking to meet this need are biosimilars, which this year broke into oncology for the first time, with the launch of rituximab copies in Europe. There will be no fewer than 30 presentations on biosimilar trials at this year’s ESMO, with research and debate about how they can be adopted to help patients and alleviate price pressure on healthcare systems.